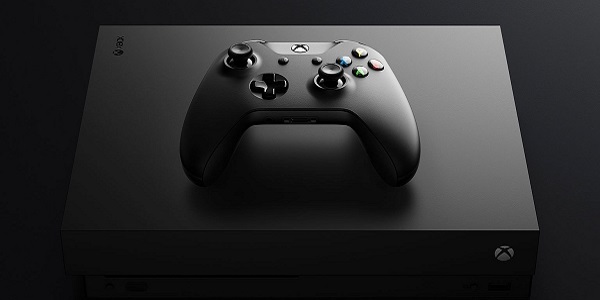 F0ollowing the departure of a major player in the game space from the E3 trade show, Xbox head Phil Spencer has reiterated the company’s support for the show, and now he’s explained why. According to Xbox head Phil Spencer, Microsoft plans on remaining part of the E3 experience for a couple of reasons but, primarily, he said it’s just a great way to celebrate games with the community. Spencer noted the above during a recent Extra Life livestream (via Twinfinite) when asked about Xbox’s role at E3. Spencer discussed the evolution of E3 and how, over the years, it’s basically turned into a hype machine for fans, which Microsoft considers a worthwhile investment. Back in the day, Spencer notes that E3 was just a trade show for retailers to check out games and determine how many copies of each they wanted to buy. The press was eventually invited in to add its expertise in determining which games were the most likely to grab the audience. Now, in more recent years, the press has been joined by regular fans, making the event less about stats, figures, and sales numbers and more about everyone getting excited for the next year’s worth of gaming. The elephant in the room during this conversation is the fact that Sony recently announced it will not be taking part in E3 2019, deciding to cut its press conference from the agenda and not make an appearance on the showroom floor. While Sony has stated it plans on reaching its PlayStation audience in a number of other ways, the fact that it cut both E3 and the PlayStation Experience event typically scheduled for December has stirred up questions concerning the previously tried and true methods by which publishers interact with their audience. Several publishers have pulled out of E3 in recent years. EA, for instance, still hosts its own event down the road from the Los Angeles Convention Center. Last year, Microsoft moved its floor show to LA Live, which is literally right next door to the Convention Center. Still, it sounds like Spencer and Co. want to head back to the main show and be part of the communal experience. Concerning E3 and Xbox’s own recent fan event, XO18, Spencer noted that Microsoft is happy with how this year’s events went and noted that they would like to experiment with those formats again but, for the time being, they’re still learning and evolving. While nothing has been set in stone, Spencer makes it sound like Xbox will be returning to the regular E3 format in 2019. This will likely include the standard press conference, as well as a floor show including oodles of demo stations for visitors to play. Concerning floor space, I imagine Xbox would have little trouble filling the hole Sony plans to leave in the West Hall next year.